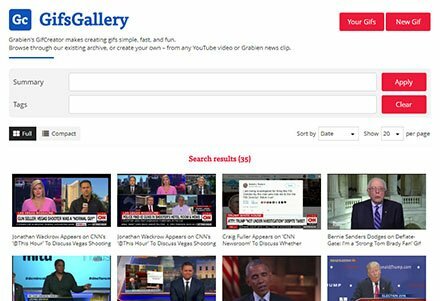 Grabien offers a full suite of tools for hosts and producers (TV, radio, podcasts), corporations, PR firms and media personalities, and just hard-core news junkies. Wherever you are in the news ecosystem, we’ve got something you’ll enjoy. Promise! 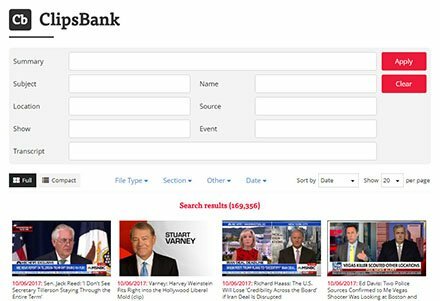 Cull through a library of millions of clips, news stories, transcripts, and photos. 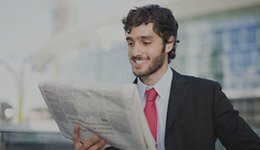 Self-serve clips from your favorite news, TV, or other programs in any format. Share your clippings, GIFs, or even your live events with powerful and smart tools. Our concierge service provides the below-market rates of freelancers – but without any of the uncertainty. We only work with the best in the business. Tell us the station (we can access pretty much anything), the preferred format, and we'll send a quote. We can dig as far back as 2002. Just $2/minute. We're fast, cheap, and reliably deliver clean transcripts. We can handle time stamps and most closed captioning formats. We can also handle French/Spanish/Arabic translations. Grabien's a community of media pros. We can help with video editing, musical scoring, motion graphics, and more. Let us help you. Submit your job below and we'll send a quote. 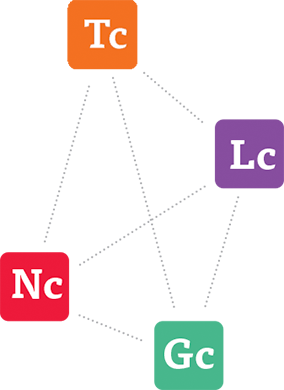 We provide the below-market rates of freelancers – without any of the uncertainty. The news everyone will be talking about next. (both video and audio), transcripts, photos, and more. Grabien's been clipping the news for the biggest names in the business for years. Our coverage is comprehensive. If there's a clip you need, we've got it. Need a transcript? 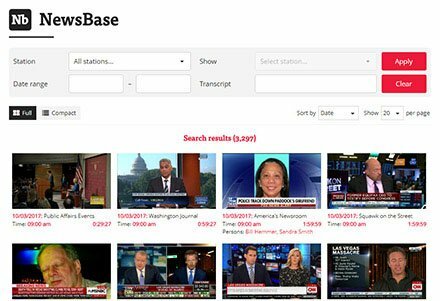 We're building a database of full-length news programming, and they're all searchable and accessible. In partnership with Getty/iStockphoto, our PhotoBank provides discounted access to millions of licensed news and stock photos. Create your own clips from full-length news programming, radio, and podcasts – in any format. Start by monitoring all major live news events simultaneously (up to 10 concurrent feeds), then when news breaks, pop out a player and begin clipping (or grabbing screencaps); if you missed something, open the NewsBase and use the NewsClipper to create the clip you need. Clips are delivered almost immediately and everything's transcribed. 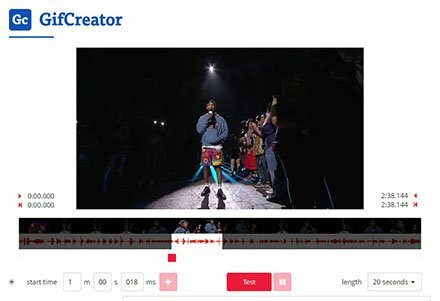 Publishers can embed content straight from Grabien (saving time); radio shows can feed Grabien directly into the board (no more emailing clips around). We build tools we know are needed having worked in these industries ourselves. In today's news, speed wins. Get the advantage. 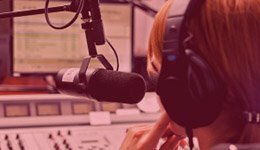 Access broadcasts from almost every major market in the U.S. If a podcast you need clipped is not in our database, add it! 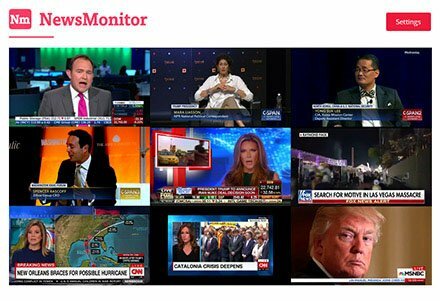 Watch every major news event … simultaneously! Pop open any news feed and begin creating clips … in real time! 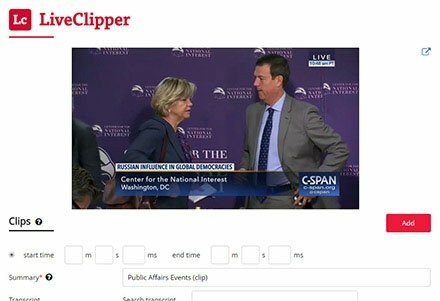 Share your clips, GIFs; even soup up your org's livestreams by making them clippable/shareable. Get yourself seen. Gifs, clips, and even live event media services. Being first means being fast; for publishers, it means getting all of the in-bound links. Being fast means removing steps that others waste their time with. With immediate publication (no downloading/uploading), you'll have clips up seconds after you saw it happen. And with the LiveShare, your org will be able to provide livestreams that the audience can easily clip into share-worthy highlights, and spreading word of your event via their personal circles of influence (Facebook and other social media), their personal influence base. Let your audience work for you. Use your audience to help spread your message! As viewers watch your event, they can easily create clips in real time, sharing them on social media, websites, email lists, etc. Enter the settings once, and never manually edit your show again! Grabien offers a full suite of tools for aspiring journalists, gonzos, and large media operations. 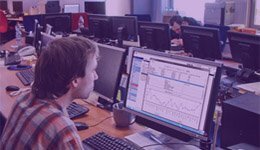 Our tools are powerful individual products, but even moreso when used cohesively. "Tom and his company are fantastic. If you are not using Grabien for your media needs then you are with the wrong company. Hyper responsive, no matter what time of day; Tom and team are always ready to assist. Can not say enough great things about this company!" "Just wanted to also let you know how much I appreciate the site. I use it frequently, especially when I’m trying to find that unique clip for a particular story. You guys do great work." "I am always trying to keep up on current events and follow on-the-record remarks by politicians and those in the media. Grabien is great for doing this." 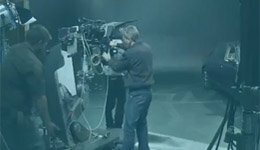 “Using Grabien to get my TV clip was such an easy and efficient process. Not only will I use the service again, I’ll certainly refer it to others." 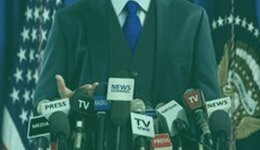 Grabien offers a powerful suite of tools for journalists, producers, hosts, corporations, PR firms, podcasters, media personalities, and the mass news audience. We clip the news so you don’t have to. 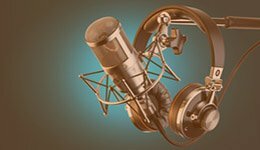 We can transcribe your podcasts quickly, accurately, and cheaper than anyone else.